TUCSON, Ariz. — For the past five years, ejections in NCAA baseball have risen each year. This epidemic is hard to swallow since the NCAA Rules Committee made major changes in 2012 to emphasize that vicious comments directed at umpires by players and coaches would not be tolerated. In 2012, there a grand total of 600 ejections in NCAA Divisions I, II and III. In 2017, that number grew to 709. Last season in an effort to stem the tide of this unfortunate trend, umpires were instructed to give official warnings to coaches or players who crossed the line with comments in an effort to avoid ejections or suspensions. Still the ejections have risen. 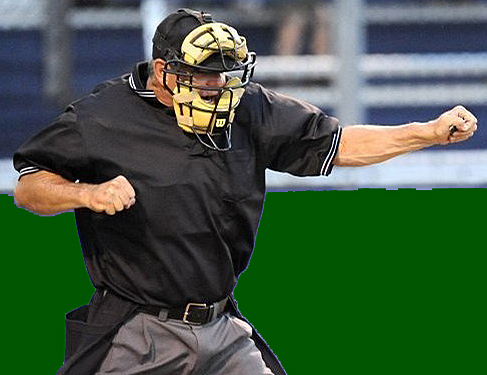 “Well, it’s not getting any better,” said George Drouches, NCAA National Coordinator of Umpires in the 2018 NCAA Baseball Guide. NCAA Div. I: (Player – 114, Assistant Coach – 37, Head Coach – 152). NCAA Div. II: (Player – 99, Assistant Coach – 23, Head Coach – 84). NCAA Div. III: (Player – 83, Assistant Coach – 30, Head Coach – 87). A brief categorization of ejections includes ball/strike, safe/out and fair/foul calls by umpires. Drouches said that ball/strike calls result in the lion’s share of ejections at nearly 70 percent. He reported that directed profanity was reported in over 90 percent of ejections or suspensions. While coaches and players can trigger an ejection with language that would make a sailor blush, umpires must be accountable as well and have a thick skin. They must work to calm and defuse potential powder kegs from exploding. If an umpire is unprofessional, baits a coach or uses inappropriate language, we feel he should be given a suspension as well. Collegiate Baseball feels more respect is needed between umpires and coaches without question. The late Bud Grainger from Tucson, Ariz., one of the best umpires in NCAA history, served with distinction for 39 years in college and high school baseball games. He simply would tell the coach he screwed up and apologize. This defused the situation and gained the respect of the coach because Grainger admitted he was wrong. He also explained to the coach he was human and always tried to be perfect, but at times he wasn’t. Grainger only ejected a few coaches in his 39 years of umpiring because he only did this as a last resort and respected all coaches. Another factor in this problem is umpires who refuse to call the rule book definition of a strike zone. Since nearly 70 percent of ejections are caused by ball/strike arguments by coaches, it stands to reason there is an issue. Over and over through the years, the NCAA Baseball Rules Committee has emphasized calling the rule book definition of the zone. Perhaps it is time to prevent umpires from working NCAA games if they refuse to call the strike zone as shown and written in the NCAA Baseball Rule Book. To read more stories in Collegiate Baseball, subscribe by CLICKING HERE. I have been to numerous college games over the past two years as my son is a college ball player. It isn’t just a lack of desire to actually call the strike zone, but a lack of consistency in calling balls and strikes. Every person that has ever tried to umpire knows how difficult it is to call balls and strikes. Today’s umpire needs to identify what their strike is and then consistently call that zone. Also this idea of lining up in the slot is ridiculous. There is no possible way for umpires to call the outside of the plate when they are line up behind the batter. I see this all the time!!! Last and not least is this seemingly desire to show up players. I see this way to often. Three balls on the batter, pitch is thrown no call from the umpire. Batter waits briefly for a call then starts to run down to first sssuming ball four. After 3-4 steps down to first you get a strike call from the umpire. Happens multiple times a game. To me these are major contributors to what I see as why there is so much trouble between umpires, players, and coaches.